Four inch transfer printed jug with a sponged blue and red border. 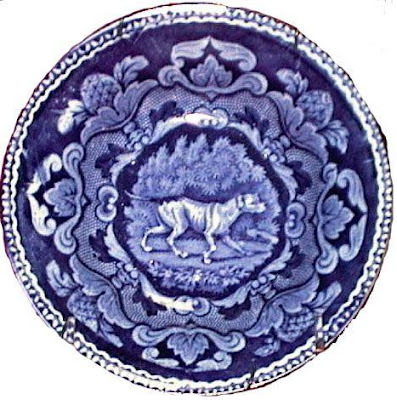 The rabbits on one side and a Spanish pointer on the other side are part of hunting scenes. I've written about finding hidden pictures in transferware patterns before; see my post titled "Ornithological Series And Find The Hidden Picture." 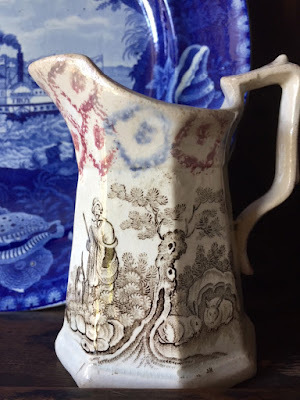 It is one of my great pleasures to spot transferware patterns that are copied from original source prints, which is the main reason I purchased this small jug. I'll add that I also like the combination of sponge and print. 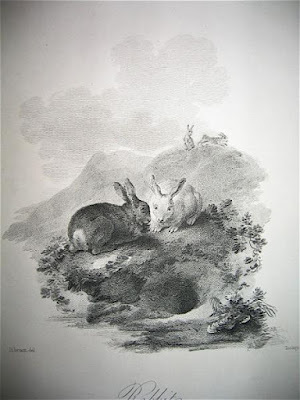 I recognized that the rabbits were copied from a source print by Julius Caesar Ibbetson found in "The Cabinet of Quadrupeds" by John Church, which was first printed in 1805. "Rabbits" by Julius Caesar Ibbetson from "The Cabinet of Quadrupeds" by John Church. Close-up of the rabbits on the jug. Notice that only two of the rabbits were used from the source print. Also notice the cartoonish rendering of the rabbits. 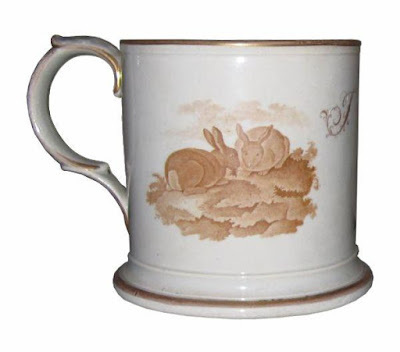 The rabbits also appear on several items in the database of the Transferware Collectors Club. Spode "557" Two Rabbits pattern mug. 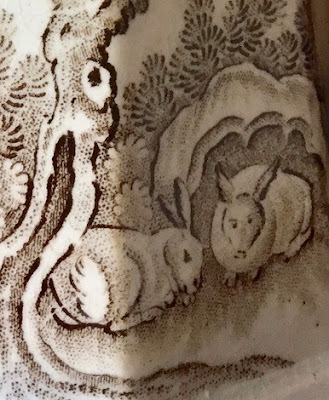 Notice that only two rabbits were used from the source print. 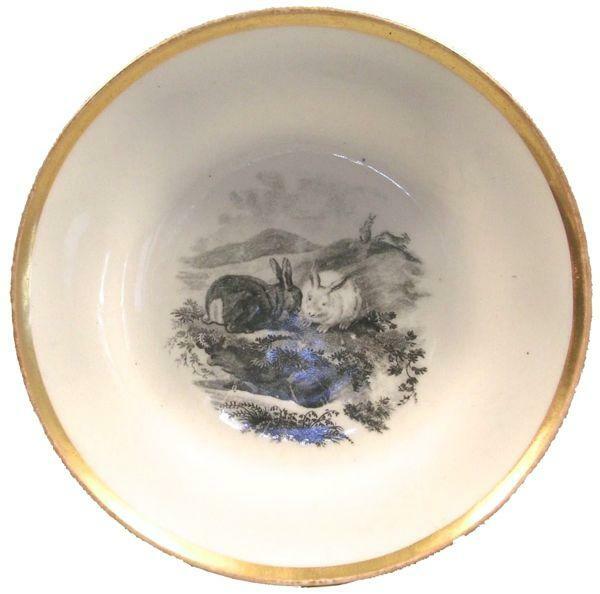 Rabbits 8.62 inch saucer, by an unknown maker, featuring all four of the rabbits found in the source print. Two rabbits are in the foreground and two are in the background on the right. If the rabbits are hard to see, click on the photo to make it larger. 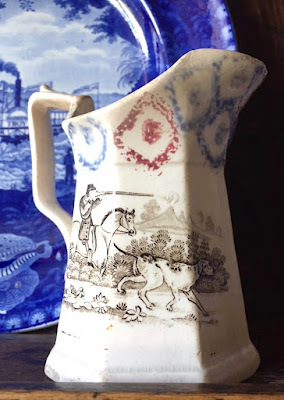 The other side of the jug shows a Spanish Pointer ensconced in a hunting scene. 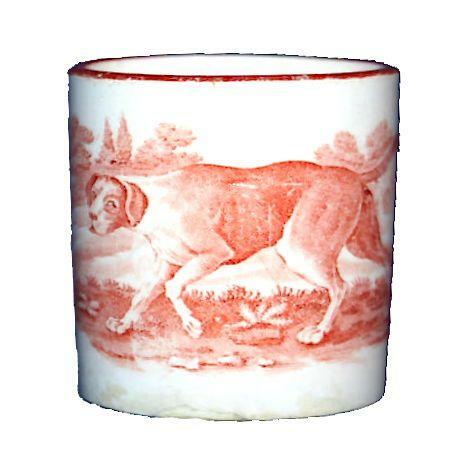 The other side of the jug shows a Spanish Pointer, which was copied from "A General History of Quadrupeds" by Thomas Bewick, which was first printed in 1790. 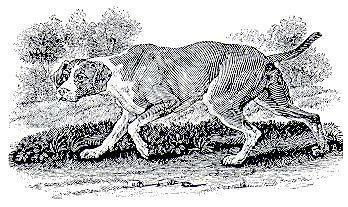 "Spanish Pointer" from "A General History of Quadrupeds" by Thomas Bewick. 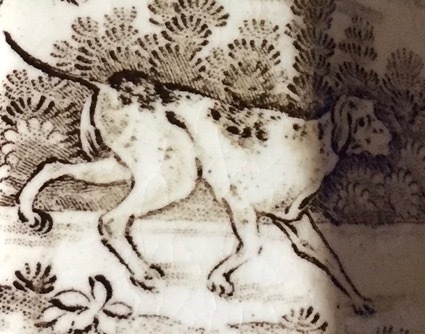 A Close-up of the Spanish Pointer on the jug. Again, the pointer is a cartoonish copy of the original source print. The Spanish Pointer was copied by other manufacturers. Wedgwood (1759-2005) coffee can or mug, ca. 1820., with an example of a Spanish pointer. The word "Wedgwood" is impressed on the bottom of the mug. Spanish Pointer, maker unknown on a saucer, ca. 1825. I wondered why the dog wasn't an English pointer, but Bewick says the Spanish pointer was easier to train. As I have said, it is a pleasure when I connect a source print with a transfer print. Let me know if you can think of other examples.